About 50 grams of glucose. About 150 millilitres of water. A few crystals of citric acid. About 5 grams of yeast. Measure and record the mass of the flask. 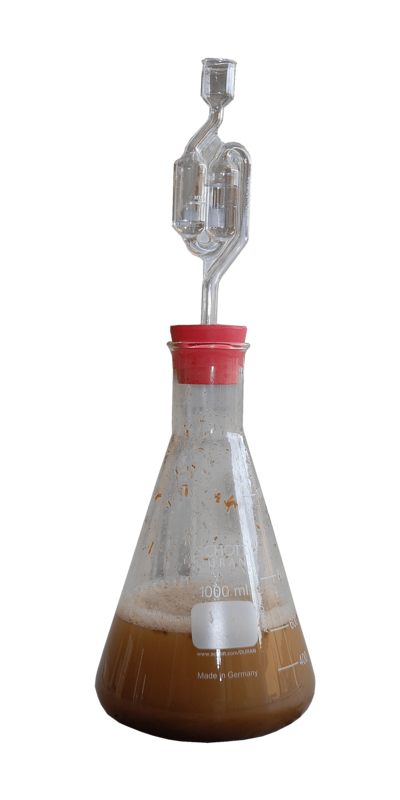 Attach an airlock apparatus containing limewater to the top of the flask. Stand the flask in a warm place, with a temperature of approximately 37°C, for three days. Over the three days, carbon dioxide should be produced, which will form a white precipitate in the limewater (calcium carbonate) as it bubbles through. Measure and record the mass of the flask at various times throughout the three days. Due to the production and release of carbon dioxide, a mass loss should be observed.